The Street & Distribution Department operates and maintains the Town’s water reservoirs, pump stations and water mains to deliver drinkable water to customers. Account-Holder Responsibilities: It is the account holder’s responsibility to provide continual access to the water meter. If a Meter Reader encounters an obstruction to the meter, a letter will be sent to the account holder requesting that the obstruction be removed. Obstructions will often result in the account holder receiving an estimated bill. Failure to remove an obstruction may result in discontinuation of service. Town Responsibilities: Town responsibilities are limited to those things it controls, owns or maintains. Since the Town does not control, own or maintain the elements of the customer’s home/business plumbing system, it cannot be held responsible for failures to this system. Problems: Water service related problems between the water meter and the customer’s home/business or within the customer’s home/business, are the customer’s responsibility. The Street & Distribution Department directs the daily operations of the Town’s water utility and for reading water meters. The Utility Office is responsible for billing customers for their consumption and processing payments. Meters/Meter Pits: Water meters are the property of the Town of Fortville therefore tampering with meters (turning on/off) is prohibited and can carry a fine up to $1500.00. Turning the water on/off must always be done by the Street & Distribution Department. Billing: Meters are read on the 15th of each month. Customers are billed monthly on the 1st of each month. Billing dates are assigned based on meter reading route patterns and, therefore, cannot be changed at the request of the customer. If the utility bill is not received by the Utility office on or before the 17th of the month, a penalty will be added to the amount due. Utility Office hours are Monday through Friday 8:00 a.m. to 4:00 p.m. For new service please come into the office. You may also download and print the forms by clicking on the service forms link on the home page of this site and then bring them into the office when you would like to start new service or discontinue your current service. A copy of the Utility Office Policies and Procedures is available upon request. There is a per page fee of 10 cents per page. You may request a copy at the Utility Office during business hours M-F 8:00 a.m. to 4:00 p.m.
Line Locates: If line locates are needed, call 1-800-382-5544 at least 2 full working days before you dig and they will contact the town along with the other utilities. After Hours Emergency: Call the Utility office at (317) 485-4044 and press extension 44 to notify the Street & Distribution Department. The SEWER MAINTENANCE division is responsible for the collection of wastewater and its conveyance to a treatment facility. Employees in this division maintain the City’s sewer mains and pump stations. Sewer service related problems within the customer’s home/business or between the customers home/business and the sewer main (including the connection to the sewer main) are the customer’s responsibility. 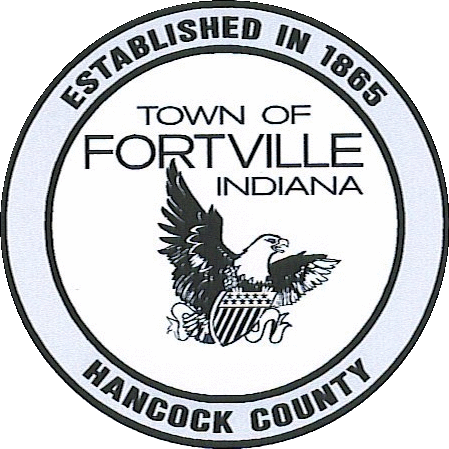 The Town of Fortville’s Utility Office is located at 714 E. Broadway, Fortville Indiana. Utility Office phone number is 317-485-4044.